That’s why I think my life has turned out as good as it has. Because all the time, I’m just trying to have fun. You guys. I really liked Tiffany Haddish before this book. Now? I absolutely love her. 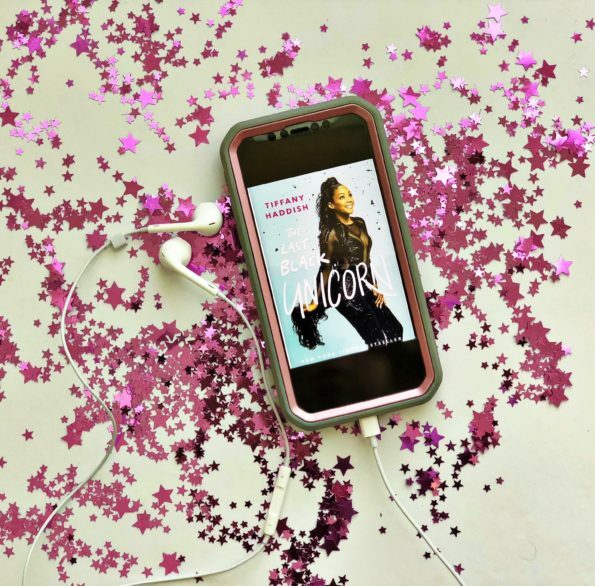 The Last Black Unicorn is her memoir of how she grew up and into the person she is today, and while she is a funny lady, it is not a funny story. Well, it is Tiffany Haddish, so it’s still pretty funny, while at the same time being gut-wrenching. She has been through the ringer and worked incredibly hard to get to where she is today. If you haven’t seen any of her comedy, Google her IMMEDIATELY. The thing about very funny people is that a lot of them use difficult situations to joke about. Haddish is no different, and I was shocked by just how difficult her life has been. She doesn’t use it as an excuse, though, and it seems that she’s worked twice as hard to make sure she’s successful. Growing up in South Central Los Angeles, Haddish had to work hard just to survive, much less work her way out of a situation that would seem impossible for most people. Absent parents, being a foster kid, and problems at school are just a few of the situations that she had to deal with, and comedy, namely making other people laugh, was her way of coping with it all. This book details her childhood and early adulthood, as well as her rise to fame, and it will cause you to have a whole new respect for her and others like her who struggle on the stand up comedy circuit. The Last Black Unicorn is a shocking, hilarious, at times disturbing memoir written by a brutally honest women who really does feel like someone we could all be friends with. Tiffany Haddish deserves all of the acclaim she’s been getting lately, and then some. She’s not just a funny lady. She is a humble and honest human being who isn’t afraid to talk about the hard parts of life. I found myself laughing and tearing up at the same time during certain chapters, and that is just a testament to how Haddish can turn any terrible situation into a comedic one. She’s the definition of finding the silver lining. If you like memoirs, funny books, or just want to learn about one woman’s rise from one of the poorest neighborhoods in Los Angeles to the top of the Hollywood food chain, please, please pick up this book! I listened to The Last Black Unicorn on audio, and I highly recommend it. Haddish reads it herself, and it truly adds so much to the story!